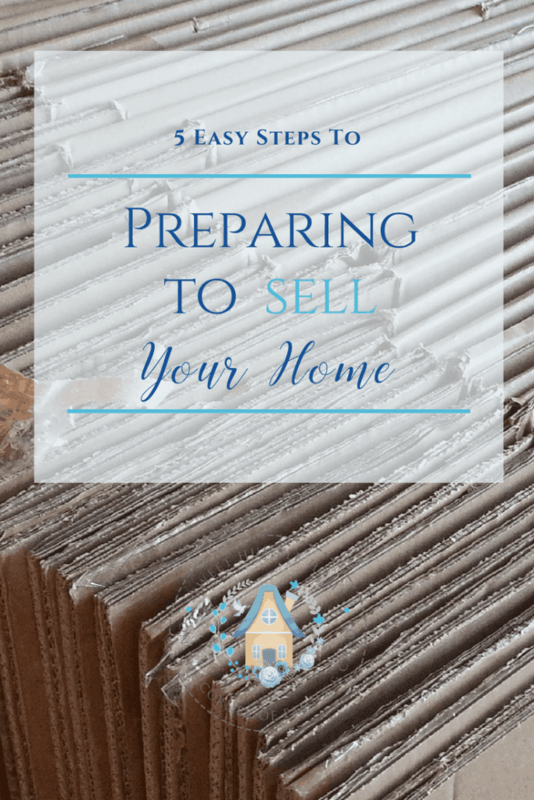 Preparing to sell your home? There’s work to do. We recently put our house on the market. Turns out that was the easy part. Preparing to sell your home in hopes of a quick sale can seem a little daunting. I’m hoping that the tips I have for you will help to make the process just a little bit easier. Having the right realtor to represent you as you are preparing to sell your home is of the utmost importance. Your realtor will work with you and for you with your best interest their number one priority. Your realtor will prepare a Certified Market Analysis (CMA) for you so you can clearly understand what your home is worth. They will help you every step of the way using their knowledge and expertise to get through the many steps of selling and purchasing a home. To research a good realtor, try starting with realsatisfied.com You’ll be able to look at reviews of realtors in your area, or ask one for a referral to your area. (I’ve linked to my favorite realtor, my mom – you’d love her, I’m sure of it). 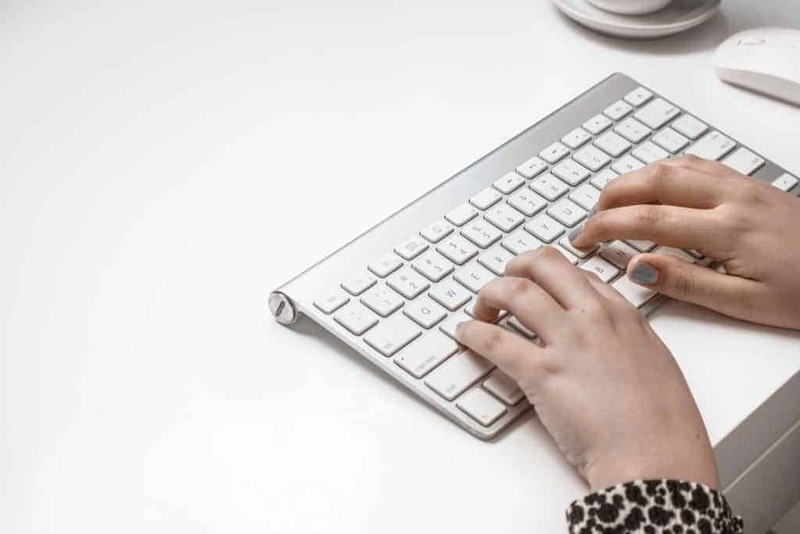 Research the realtor you want to use. Once you’ve gotten a realtor, it’s time to get to work preparing to sell your home. 1. Start by clearing out what you don’t need. You shouldn’t be packing and moving things that you don’t use. Now is the time to part with them. When we decided we were serious about moving – I’d say about eight weeks or so before we were going to put it on the market, I started to go through each closet, all the cabinets, and every drawer. I started in the linen closet. Linens that I hadn’t used in the past year were either put in the Good Will or the Pick Up Please pile to donate, or put on tag sale sites on FaceBook and sold. This is a fantastic way to start making and saving some money for the expense of moving. Each day I took an hour and went through a cabinet, closet or some drawers and continued to make my piles, being left only with items that I love, and that I know we are moving with us. I cannot even tell you how many things we let go of. It’s a freeing feeling. It’s so important not to be weighed down by things. This process really helps to get you there. 2. Next, begin to clean – REALLY clean. I keep a clean house, so I didn’t think that this would be as overwhelming a task as it turned out to be. When you are preparing your home for market, however; how clean your house is really matters. Get into the nooks and crannies of every corner. You basically want to do a spring cleaning. You can get my spring cleaning checklist here. It’s a good place to start. You will, however; have to keep in mind that items you may not have taken care of previously need to be taken care of now. Get together a list of all of the improvements you have made to your home since purchasing it. Buyers like to see that the home is cared for. It also shows your pride in ownership. Making necessary repairs now gives your buyers less to complain about during their inspection. Have you already replaced a broken screen on the front door? Good. How about touching up the paint on the outside of your house? Cleaning out your downspouts? Fixing the door handle? We all have items that we say we’ll “get to”. Now is the time. I’ve compiled a list of items that may be a helpful guide for this process. Be certain that your buyer’s home inspector will find more, but this is a great place to start getting maintenance done. 5. Look at your home through the eyes of a buyer. Once your home hits the market, the first impression people will have of your home are the photographs that are online. Make sure that when you or your realtor (or professional photographer) take your photos that they are clear, bright, and show your house in the best possible light. Have you ever looked at a listing and wondered, “why would they put that photograph in there”? You don’t want your house to have that reaction. You want them to come want to visit your home. Your home should be clean, free of clutter, and your photos should reflect that. Think about how your would react if you went to see a home and you found toys all over the floor, or laundry sitting in a laundry basket on the bed. Even keep in mind how you keep your cabinets and closets. 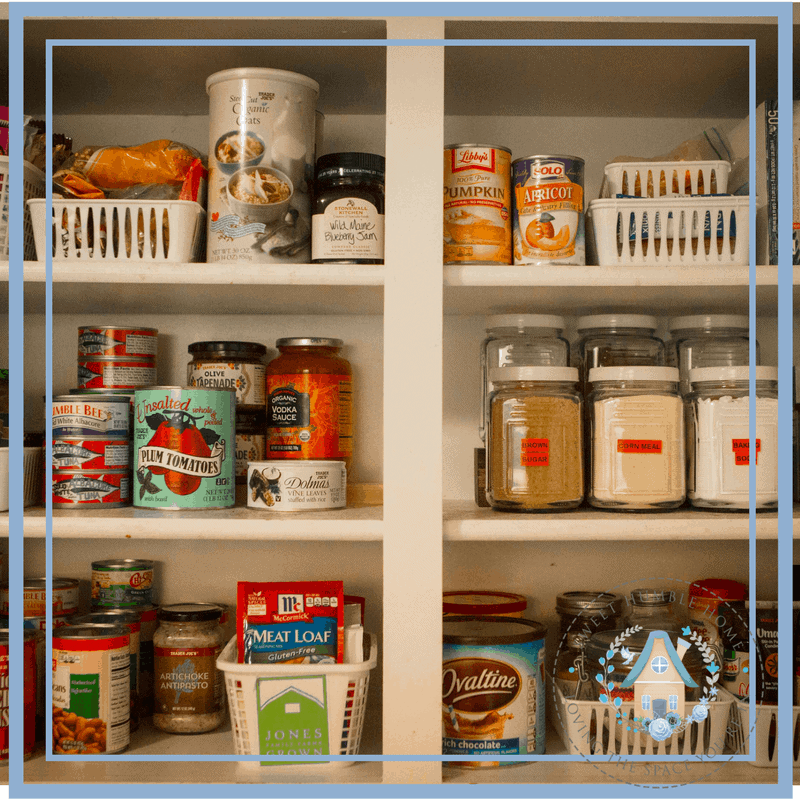 Don’t have a pantry? When a cabinet is your pantry organize it so that buyers don’t get the impression that they wouldn’t have enough room to store their food. My finished “pantry” cabinet. Dollar Store bins helped to make it crazy organized! It’s the little things. Don’t leave out a dirty sponge, make sure you clean up after yourself (and others). Be prepared. Wake up and spritz your kitchen and bathroom every morning with surface cleaner. Vacuum every morning. Make your bed every morning. Toys and personal items should always be put away in their proper spot after using them. The last thing you want to do in the middle of your busy day is rush around trying to get your home back to looking like it did in the photographs for your listing online. People are expecting to see what they saw there. A friend of mine suggests having an empty laundry basket handy. If you get a call for a last minute showing, put anything that hasn’t been put away properly in the basket and throw it into the trunk of your car. I found this tip to be incredibly helpful! If you’re putting your house on the market – good luck! If you prepare ahead of time you shouldn’t have too much trouble (market depending, of course). Now is the time to sit back, and start creating your Moving To-Do List!